Every year, there are new advances on treatment of cancer. Immunotherapy is all the rage now and shows tremendous potential. Crispr is right around the corner with a paradigm-shift in how we deal with health in general! We're finding new ways to prevent, offset, and mitigate both cancer and the effects of treatment associated with it. A brand new study showed that the new CAR T immunotherapy that's changing how we treat (and beat) cancer is dependent on gut bacteria! In this new arsenal, people are researching CBD and its effects for both cancer and the symptoms of cancer treatment. Now...we want to be clear. Make sure to work with your doctor for any treatment. CBD is not cleared for treatment of cancer by the FDA. We don't want to misinform, give false promises, or cause people to avoid the best treatment. But what does it do? What does research show? That, we can get in to. We'll dig heavily into the research. There will be much more to come on this front. Before we jump into the research on CBD and cancer, let's evaluate the key points of how it starts and spreads. Cancer is primarily a disease of the genes. Mutations or changes in healthy genes cause an uncontrolled growth of abnormal cells. These cells can spread and quickly outnumber healthy cells. Within our genes, we have mechanisms which are designed to locate these errors and fix them. If that system is overwhelmed or has errors in it, cancer can take hold. This can be the result of genetic errors we have originally or ones acquired over time. Here's the key point...at some point in our lives, these errors occur in all of us. Luckily, we have mechanisms (written in genes) for finding errors and fixing them. There's even new research showing that our immune system is critical to catching faulty cells early and destroying them. We even have a fail-safe to shut the cell down if they are abnormal. That's four potential chinks in its armor! There are so many aspects of cancer research (mitochondria, autophagy - eating of cells, apoptosis, etc) that are very interesting but we'll keep it simple for this article on CBD. Various studies reported a cannabinoid-induced autophagy mechanism in cancer and non-cancer cells. Check out how CBD supports mitochondria here. Now, let's stick with what research says about CBD and cancer. This is too important for too many people to go out on limbs not yet tested. It's important to think of CBD as complementary to your cancer treatment. There's too much at stake and we need more research. Let's see what we have now. We'll look at CBD and cancer research as it pertains to these needs. A cancer is called metastatic if it's prone to spread aggressively. CBD shows some promise here. CBD is a promising novel therapeutic agent for cancer, and GPR12 has been shown to alter viscoelasticity of metastatic cancer cells. It's one mechanism used by cancer to move around the body. In addition, antitumorigenic mechanisms of cannabinoids are not restricted to a single molecular cascade but involve multiple effects on various levels of cancer progression such as angiogenesis and metastasis. This is important...it appears to fight tumors among multiple pathways. Angiogenesis is the ability of cancer cells to build new blood supply in order to spread and grow. Metastasis is the ability to move around the body. Treatment with cbd reduced the viability and invasiveness of treated tumour cells in vitro and induced apoptosis (as demonstrated by morphology changes, sub-G1 cell accumulation, and annexin V assay). Moreover, cbd elicited an increase in activated caspase 3 in treated cells and tumour xenografts. The net net...CBD caused the cancer cells to commit suicide (apoptosis). Capase 3 is a substance used by the body to cut up cancer cells for disposal. What about nasty, re-occurring and aggressive brain cancers that didn't respond to traditional treatments and were terminal? All nine of the subjects showed improvement. Most interestingly, it doesn't target normal cells. Remember the talk about genes and cancer? 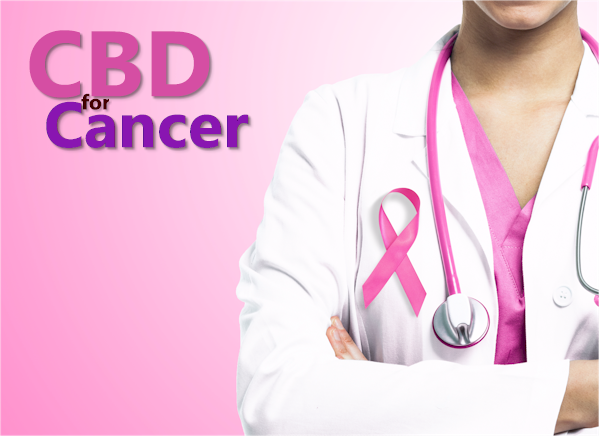 cannabidiol (CBD), a cannabinoid with a low toxicity profile, down-regulated Id-1 gene expression in aggressive human breast cancer cells in culture. The ID-1 gene has been tied to breast cancer. we then show that treatment with CBD significantly reduces primary tumor mass as well as the size and number of lung metastatic foci in two models of metastasis. Cancer needs increased blood supply to grow. What does CBD do for this "angiogenesis"? The non-psychoactive cannabinoid cannabidiol (CBD) effectively inhibits the growth of different types of tumours in vitro and in vivo and down-regulates some pro-angiogenic signals produced by glioma cells. There are dozens of studies going on to further investigate CBD and Cancer. Keep in mind that it was basically illegal to study it until recently. What a shame on our government. Let's look at CBD specifically for Cancer. Cancer doesn't happen in a bubble. We all are exposed to the countless chemicals and toxins in today's modern world. Some people smoke all their lives and never get cancer. Why do some people have protection and is there a way we can boost that for everyone! This may be CBD's greatest influence on the body. You can get more detail at our How CBD Works and Beginners Guide to CBD. What do these systems have to do with cancer? Let's start with a big one. The curse of our modern life is inflammation. You need some inflammation. It's how the body surges needed materials and protection to sites of infection or injury. There are even studies where ibuprofen can cause irregular tissue rebuilding at site of injuries as it short circuits the inflammatory healing process. Your down time is shorter but the resulting repair is worse! There's no free ride in the universe. We need inflammation but most of our modern diseases are the result of too much inflammation. The immune system (where inflammation response is governed) is outgunned and acting erratically. Let's look at some of major systems that CBD has been shown to help balance. What about inflammation and cancer? Recent data have expanded the concept that inflammation is a critical component of tumour progression. Many cancers arise from sites of infection, chronic irritation and inflammation. In addition, tumour cells have co-opted some of the signaling molecules of the innate immune system, such as selectins, chemokines and their receptors for invasion, migration and metastasis. The link is a fascinating study. So...what does CBD have do about this? 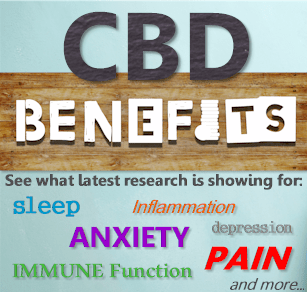 CBD has a strong anti-inflammatory influence. The immune system is one of the main ones (if not THE main one) that is governed by our endocannabinoid system. Chronic inflammation has been directly implicated in the start, growth, and proliferation of cancer! More chronic inflammation...more DNA damage...more chance that cancer gets a foothold. What about the other systems CBD helps to regulate. It's been known for some time that hormones, if out of balance, can be carcinogenic (cause cancer). Let's look at just one. There are actually 3 kinds of estrogens although your OBGyn will probably never run labs to show the three broken out (DEMAND the Dutch test). One of the estrogens is actually cancer protective (estradiol)! The ratio of metabolites (what estrogen breaks down to) shows your real hormonal risk for cancer. Those synthetic estrogens? Synthetic birth controls? So many doctors are anti-hormone balancing for older women because they're stuck with faulty information from one doctor in the 90's based on synthetic horse hormones! Millions of women suffer as their progesterone, estrodiol, and testosterone decrease (signals to the body and brain to shut down). Hormones are important for proper cancer avoidance! This may be part of the genetic component for cancer. COMT gene mutations reduce your ability to remove estrogen in the liver. There are probably 1000's of genes that impact this complicated choreography. 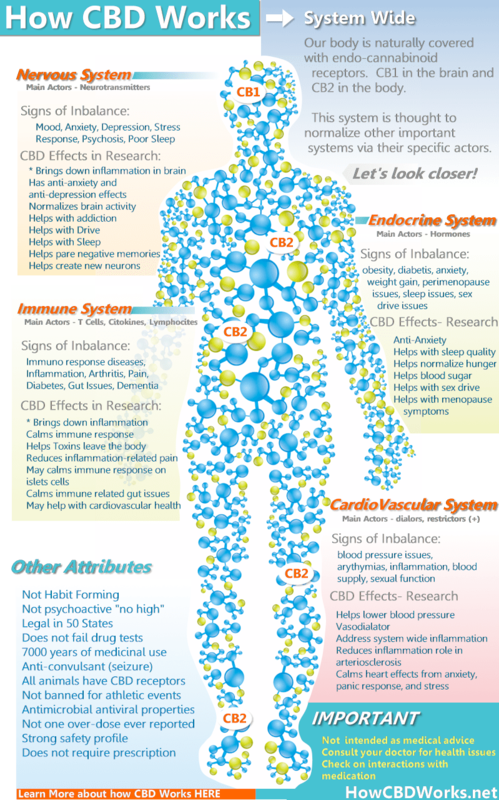 CBD and more importantly, the endocannabinoid system is tasked with keeping our endocrine system in balance. Remember all those outside chemicals we talked about? Even worst than DDT and glyphosate (Round Up found in almost everyone's blood), are the endocrine disruptors! Chemicals that mimic, block, or interfere with estrogen and other hormones in our bodies. Good luck keeping up with the chemists, endocannabinoid system! You're going to lose against 10's of 1000's of chemicals allowed in our products and over 13,000 found in cosmetics alone! CBD is one way we can help the body offset the effects of the chemical soup we live in. CBD also aids in the removal of these toxins from our body! A new study showed that the endocannabinoid is tasked with taking toxins across the gut lining and out of the body. Otherwise, they build up there! That can't be good. Source of inflammation! We've talked about specifics of CBD and cancer. We've talked about general system interventions of CBD and cancer. Let's look at side effects of CBD. We'll also cover CBD to help with side effects of cancer treatment! First, let's look at the side effects of CBD by itself. These are generally moderate and at higher doses. They tend to accompany other more serious health issues and/or medications. Make sure to check with your doctor if you take medications. CBD has shown a constant track record of strong safety throughout the studies. There's another aspect in terms of cancer though. CBD for the terrible side effects of cancer treatment! Many people with cancer actually take CBD to help with the side effects from chemo, radiation, and other cancer medications. These are top reasons for which people take CBD. Radiation and chemo create a tremendous amount of inflammation and toxins. CBD is a powerful anti-inflammatory that helps to remove toxins from the body. CBD has shown promise with neuropathy which can be a painful side effect of even the new immunotherapy treatments. Make sure to work with your doctor for any supplement like CBD. We're trying to beat cancer. We want to make sure not to do anything else to the body during this ordeal. The companies screened here have supporting 3rd party testing results (which we publish). That's the first agenda item. Then there's the safety of CBD itself. You can check out the main CBD safety page but throughout all the research papers above, you'll see mention of a good safety profile. That's consistent across the research. This gets a little tricky. The research has tested between 300-600mg for serious issues like cancer. There are reports up to 1500mg but each person's chemistry is different. The advice is always to start lower and work up while watching your body's tolerance. Isolate (just CBD) might be cleaner and easier for the body to handle since it's already under a tremendous stress. Full spectrum may have some beneficial uses but a good percentage of the population has histamine issues and may react to all the other natural "plant"� material in full spectrum. CBD Isolate may work best here to avoid any further inflammation. Learn about CBD and Histamine response here. Looking at the research in prior sections, CBD appears to kill cancer in a few ways. CBD is not the only endocannabinoid which has positives effects on killing cancer. More research is needed there but CBD has a strong safety profile and is not psychoactive. The typical delivery for cancer is with CBD oil drops. This is also the best value long-term. You can investigate the brands and rates here for CBD drops. 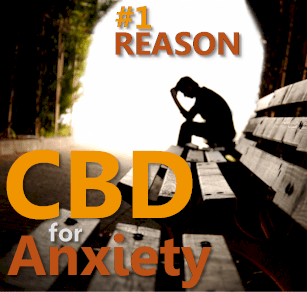 CBD oil can begin to help with symptoms and issues in 20-30 minutes generally. The effects of CBD are thought to be cumulative and single doses have shown effects up to 7 days! Test with your body to see where your threshold is. 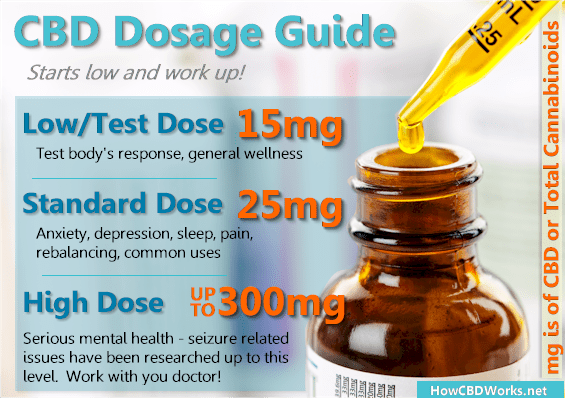 There are no reported overdoses on CBD ever! Look for stomach issues first as an indication that you body needs to aclimate to CBD. 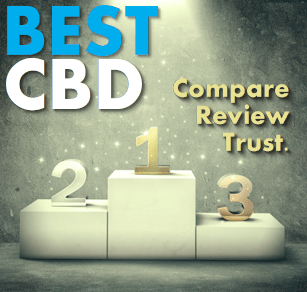 We're creating a massive list of CBD reviews, results, and testimonials. Cancer is such a scary issue for many people. Your feedback can really help others during this time! Please leave your CBD and cancer feedback here and we will post anonymously. CBD oil is the best option longer term due to cost and effectiveness. We have to be able to afford CBD long term. Because this is going to be long-term and cancer's going down! Also check out a B complex with methylated B6 and B12, Magnesium, NAD, and learn learn learn. We have to be our own advocates in today's medical world. Peace to you and be well!